KIDS 12 & UNDER SKI & STAY FOR FREE! Children of all ages are welcome in Banff and Lake Louise! Choose any Ski & Stay Vacation Package and children, ages 12 and under, get free SkiBig3 Lift Tickets for the entire stay when at least one adult skis five or more days. 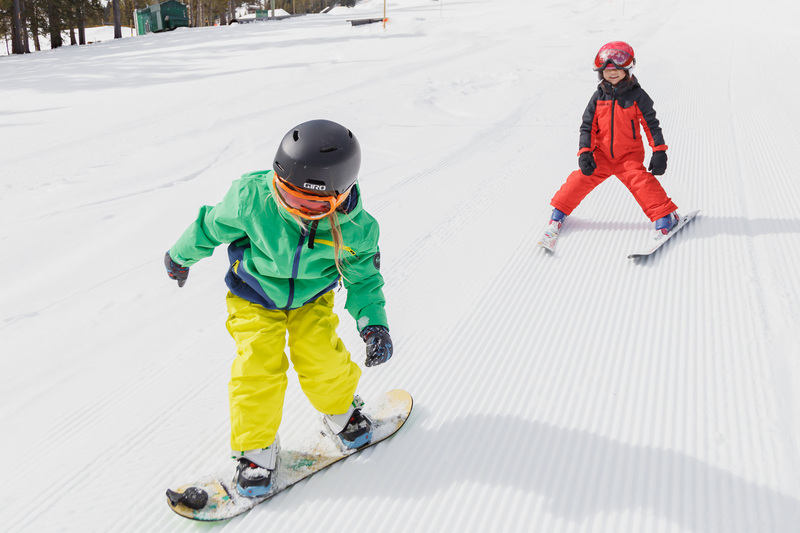 With two tubing parks, terrain parks on each hill, daycare and multiple ski school programs to choose from, there’s plenty to keep the kids entertained. This promotion is valid for 2019/20 package bookings only. 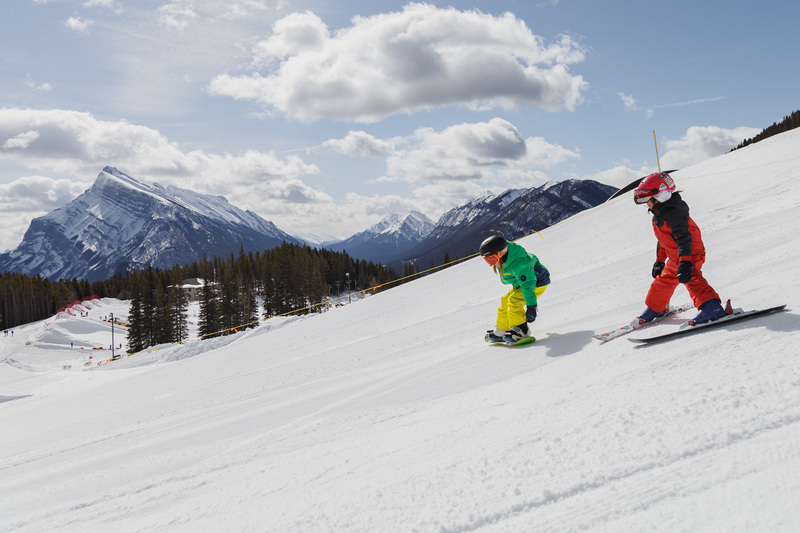 The Tiny Tigers & Kids Kampus Programs at Banff Sunshine offer full day and half day programs to keep your kids entertained and learning new snow skills. 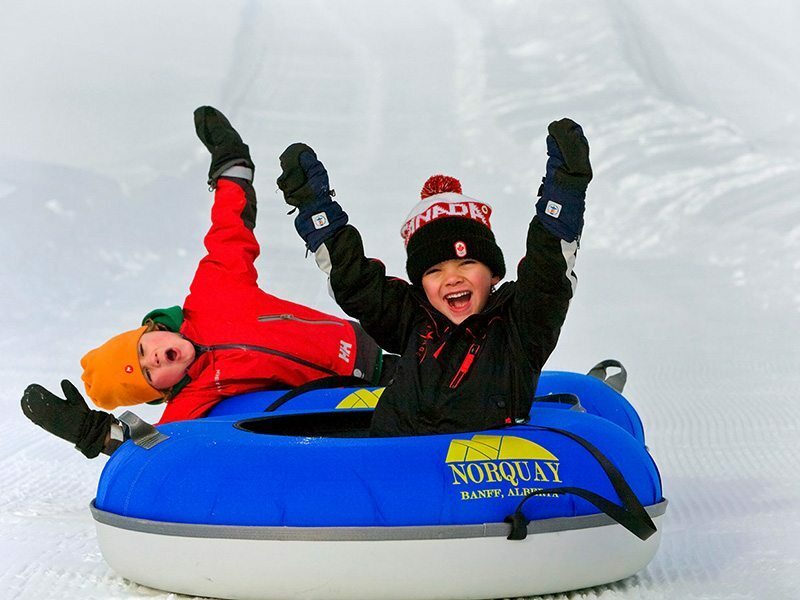 The Lake Louise Adventure Park, a special ‘kids only’ area at Lake Louise, lets youngsters of all ages build confidence and skills in a safe, supervised and fun park. Mt. Norquay is praised for its family friendly layout. 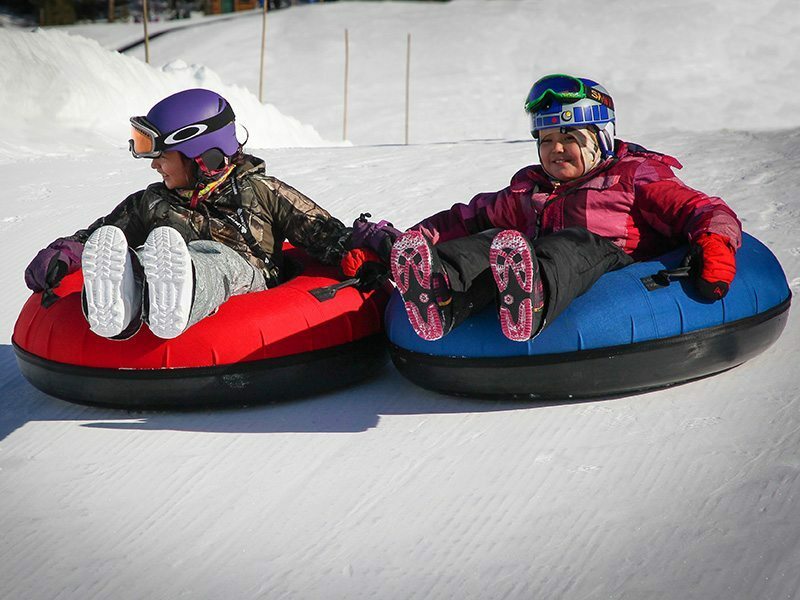 Parents can relax in the comfort of the Cascade Lodge, located right at the base of the resort, and watch their children cruise down the slopes. Tiny Tiger Ski & Play groups are limited to a maximum group size of three, filled with indoor and outdoor activities geared to the age group. This program is perfect for small children of all ski abilities, and is operated within a nut-free zone. Lunch add-on is available. Kids Kampus instructors are specially trained to provide the best skier and rider experience. Groups are kept small and set out to explore Banff Sunshine with other children and their instructor. Kids will learn quickly, build confidence and love the sport! Kids Kampus is available for both skiing and snowboarding. The Full Day Programs offer a lunch option so your child can spend the whole day with their group and instructor! Banff Sunshine offers Tiny Tigers and Kids Kampus programs that your little ones are sure to love. 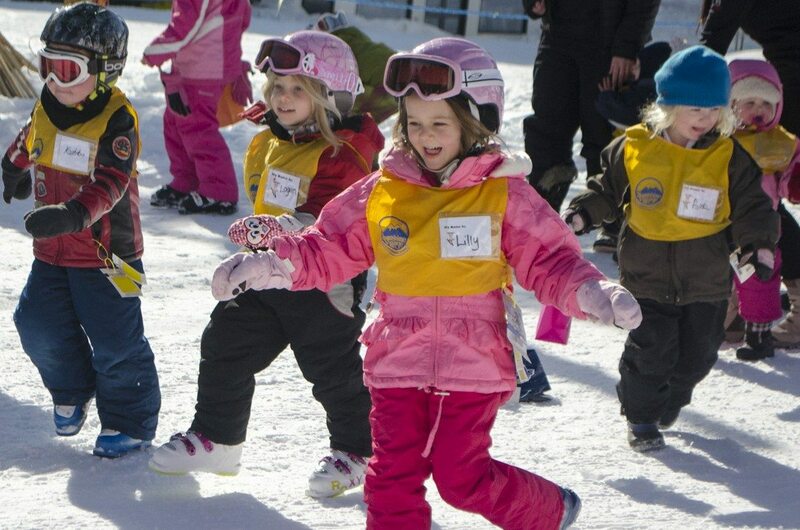 Give your littles ones a chance to get on-snow and meeting new friends, while you hit the slopes. 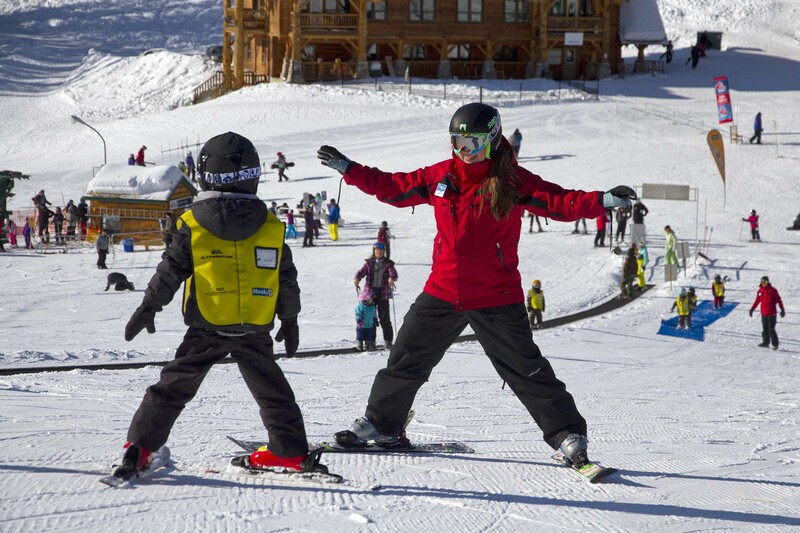 1 or 2 hour Ski & Play programs available for both ski and snowboarders kids. Daycare services are available for Infants (18 days to 18 months), Toddlers (19 months to 3 years) and Pre-School (3 – 6 years). Advanced reservations recommended as space is limited. Ski ability levels 1-6 and snowboard ability levels 1-4. Under the expert guidance of our pros your child will explore the mountain and improve their skills through fun games. Our instructors focus on safe “kids-only” teaching techniques. Kids Lessons are available for both skiing and snowboarding. 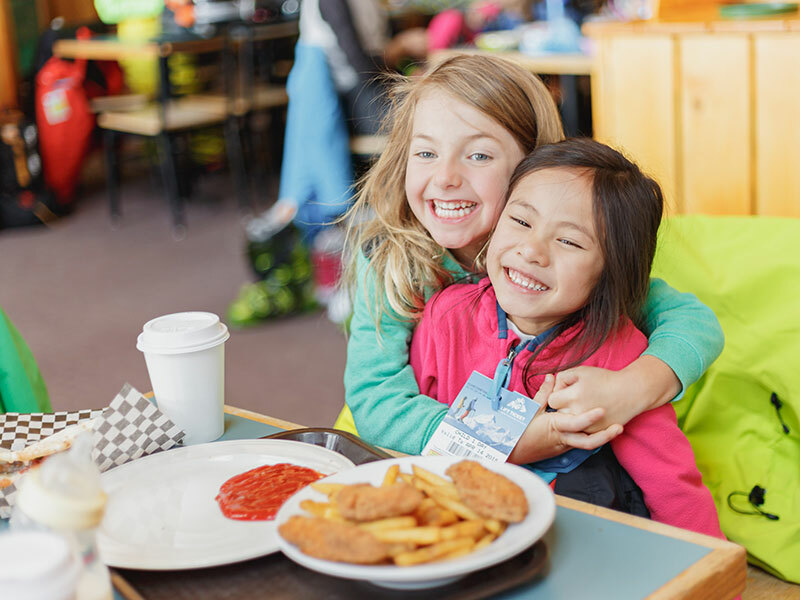 Lake Louise offers a variety of programs for kids from ages 3 – 17. Group lessons and learn-to-ski programs available in a centrally located learning area. 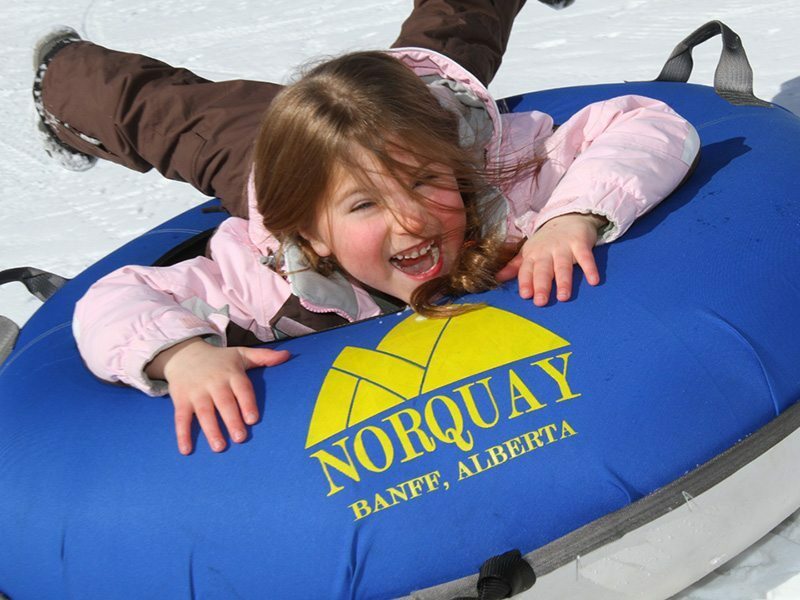 The perfect way to get your little ones comfortable on snow with Norquay’s child-friendly instructors. Daycare services are available for kids 19 months 6 years. Advanced reservations recommended as space is limited. 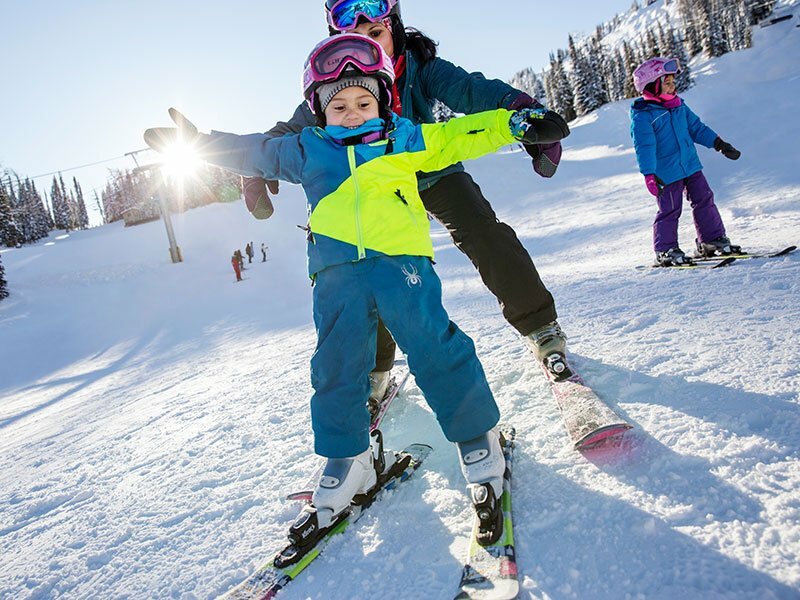 Whether kids have skied or boarded only a handful of times or they are looking to gain more confidence, Norquay has lessons that suit your needs. Kids will receive helpful feedback that will assist in gaining skills and more enjoyment on the mountain. Lessons available for both skiing and snowboarding. These lessons will be taught by a terrain park qualified instructor. Lessons will teach safety, etiquette and techniques that will drastically improve kids’ time in the terrain park. Don’t forget! Access to Mt. 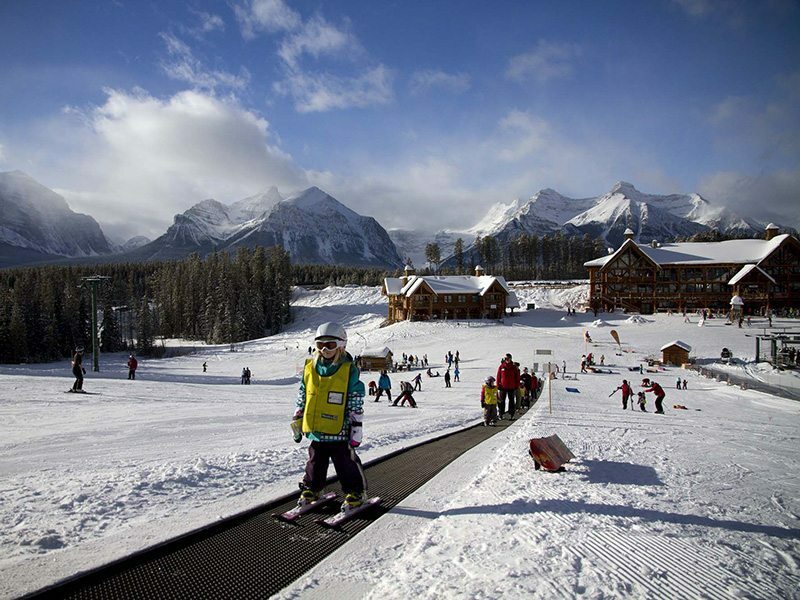 Norquay’s multi-lane tube park, is included with all SkiBig3 Lift Tickets. Norquay offers programs for kids from 3- 17 for all abilities. Little Rip n’Riders and Riglet Snowboarders, and Terrain Park Lessons. Must be part of a ski and stay package with a 5-day minimum adult SkiBig3 Lift Ticket purchase. Maximum 3 children per party (this means up to 3 children related to at least one adult who purchases a minimum 5-day SkiBig3 Lift Ticket). Proof of immediate family relationship may be required. For example – all names on the same health card. “Stay free” applies to shared room, when available. Rates and conditions vary per hotel and is usually dependent on two adults booking in the same room.